InfusionPoints has been listed as an Amazon Web Services public sector partner, a position through which the cybersecurity company would help government and nonprofit organizations develop and protect workloads with increased AWS support. The North Carolina-based firm said Thursday it garnered its position in the AWS Partner Network as a result of customer references, professional certifications and training investments that demonstrate expertise in AWS. As an AWS public sector partner, InfusionPoints and its customers gain access to increased support and training materials for the AWS platform. This marks the firm’s second APN designation within this year. 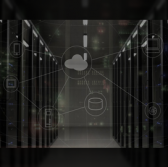 The company provides cloud service firms with support on using the AWS platform and attaining Federal Risk and Authorization Management Program accreditation, as well as on complying with the Defense Acquisition Regulation System.